At Woods of Shropshire, we have a great range of luxury cotton socks available. 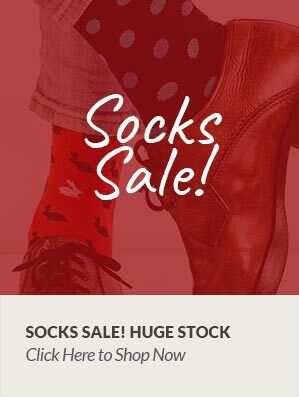 Whether you are looking for cotton soft top socks, which do not use the standard elastic, meaning they have a more gentle grip on your legs to avoid discomfort, or trying to find something different to stand out from the crowd. We also prepare you for all seasons with long 100% cotton socks in many colours and designs, perfect for the colder winter months. Use our filters to find the right pair of socks for you.